The organisations which make up the Bathing Water Quality Group are pleased that the beach at Brean have been classed as excellent and Berrow as good under the tougher Bathing Water standards. The group is disappointed that the sea water quality at Burnham Jetty North Beach has again been classified as ‘Poor’. However, the very good news is that all the work that has been going on means the water quality is continuing to improve. Wessex Water work to enhance the sewerage system in and around Bridgwater and Highbridge should be one of the final pieces in the jigsaw to improve things together with all the work by the partners and the local community. Analysis over the past five years has been done to investigate a range of pollution sources. These include household plumbing wrongly connected to surface water systems, overflows from sewerage infrastructure, agricultural inputs, run-off from agricultural land, dog waste, sewage treatment works, birds and septic tanks. There is a huge catchment area related to the sea at Burnham-on-Sea and the bathing beach is located at the mouth of the two large rivers that drain this area. There is not one discharge source causing the problems; there are ‘thousands’ of sources of pollution across a huge catchment area of the Rivers Parrett and Brue. Six years of concerted effort by members of the group have brought Burnham Jetty North much closer to passing the tougher standards. The group will continue its efforts to tackle the problems across the catchment area. This includes a multi-million pound investment by Wessex Water to help improve the bathing water quality. “The Environment Agency’s results have shown that Burnham Jetty North’s bathing water is continuing to improve and this year the community have been part of this progress. Lots of people have shown a real passion for protecting their environment by working with Litter Free Coast and Sea Somerset to set up key groups like the Friends of Burnham Beach clean group or helping to spread the word about responsible dog ownership through the Burnham Pooper Troopers. Businesses have also been a part of the movement towards cleaner seas and beaches through their involvement in the ‘Don’t Feed the Locals’ campaign, helping to spread the word about the negative effects of feeding seagulls. The Environment Agency monitors water quality throughout the summer to ensure people can make informed choices about when and where to bathe, swim and paddle. The classification categories of water quality are ‘excellent’, ‘good’, ‘sufficient’ or ‘poor’. The classifications are based on the level of bacteria in the water as monitored by the Environment Agency between May and September. What are the sources of pollution? Pollution from sewerage systems – misconnected drains and poorly maintained septic tanks. Domestic sewerage – bacteria can enter surface water as a result of system failures i.e. storm overflows. Wessex Water has committed £39 million within Sedgemoor to protect the environment and improve water quality. The multi-million £ project comprises of a number of schemes including work in in and around Bridgwater , including West Quay (Northgate carpark), Bristol Road, Blake Gardens, East Quay, Colley Lane and Sloway Lane at West Huntspill. These schemes will reduce the number to times that there are spills from the sewerage systems into water courses following periods of high rainfall. 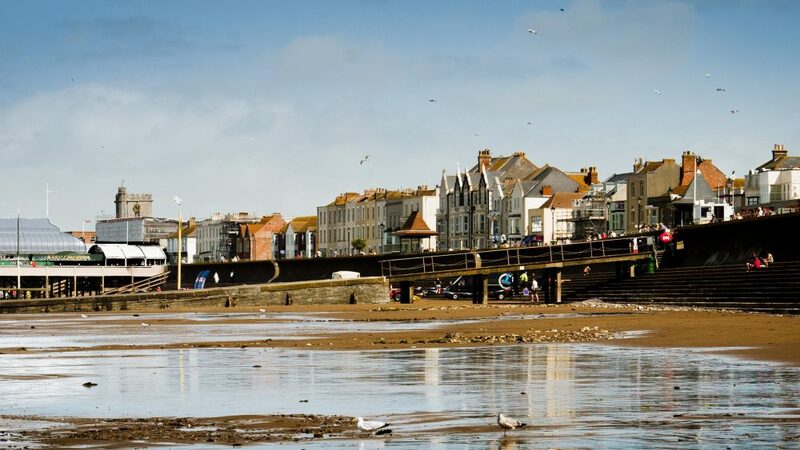 The group have also jointly funded a project officer for Litter Free Coast and Sea Somerset. 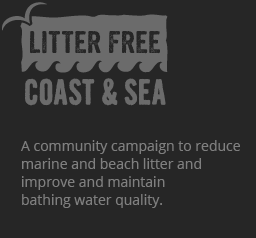 This is a community campaign to reduce marine and beach litter and improve and maintain bathing water quality in Somerset. Harriett Yates-Smith, the Litter Free Coast & Sea Somerset Officer has made a great start to the project by running several campaigns over the summer season. The seagull campaign – Don’t feed the locals – was successful with lots of local businesses displaying posters, window stickers and stickers to food packaging. Many businesses involved in the campaign have seen a ‘noticeable’ difference with people bringing in their unwanted food from outdoor tables and people taking notice of the stickers and not feeding the gulls. There is now a community group promoting responsible dog ownership (Burnham Pooper Troopers) who are targeting specific dog fouling hot spot areas with focused campaigns. A recent addition was the 2-minute beach clean initiative. This encourages beach uses to do a 2-minute (or longer) litter pick as part of their visit by supply bags, gloves and litter picking tongs. More campaigns are planned for the next bathing water season in 2017.